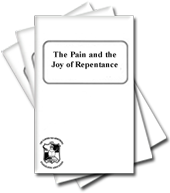 Note: These links lead to the Booklets section of the Garner Ted Armstrong Evangelistic Association website and the specific booklet. Each booklet will open in a new window so you can easily come back to this page. Following is a list of all the booklets we have posted at the EA site. Beast of the Apocalypse: What is it? Believe It or Not - The Resurrection Was Not On Sunday! Can You Understand Bible Prophecy? Did God Use Evolution to Create Life? Did Humans Evolve From Lower Life Forms, or Did God Create Adam? GLOBAL GUERRILLA WAR... Can America Win It? Great Tribulation--Is It About To Happen? Greatest Time Of World Trouble In History! Is It a Sin to Observe Birthdays? Mark of the Beast --What Is It? Mideast Strife -- Will It Lead to Armageddon? Millennium: Will It Be Spent in Heaven or on Earth? Must You Be A Member Of A Church To Be Saved? Must You Speak With Other Tongues to be Saved? Only a Fool Says "There is no God!" Saved by Grace? (Or is there something we must DO to enter the Kingdom of God? Should You Avoid All Organized Religion? The Great Tribulation--Is It About To Happen? The Millennium: Will It Be Spent in Heaven or on Earth? United States of Europe, When? What is the Work of Elijah? Where Is Your Place of Safety? Who, What Is the Beast of Revelation? Why "Keep Saturday For Sunday"? Will They Soon Clone Human Beings? Witchcraft, Sorcery, and "Harry Potter"